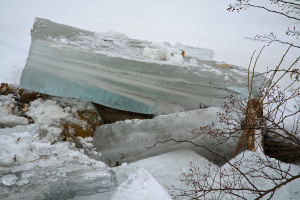 Last Sunday’s rain storm raised the water level on the river by about six feet, breaking up the frozen ice into large chunks that were four to twelve inches thick. 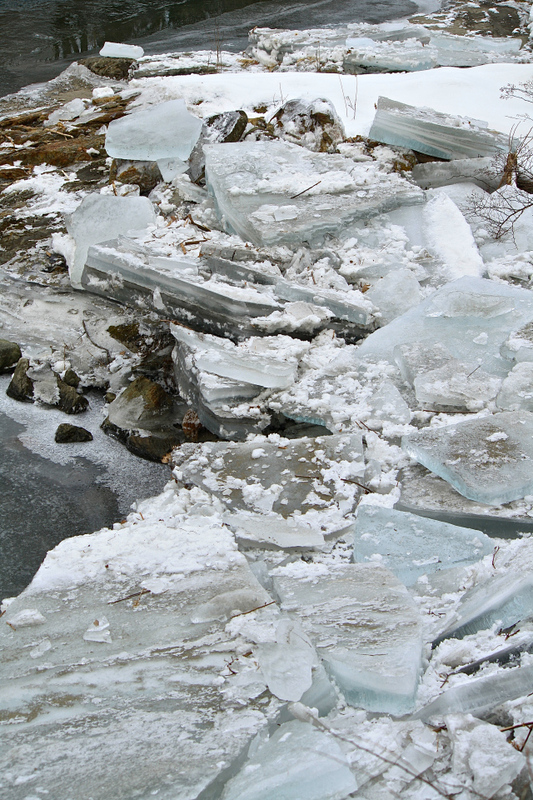 Flowing downstream in the flood, some of these icebergs stuck in an eddy in the bend of the river below the bluff and were left in stacks up to five feet deep when the water receded. 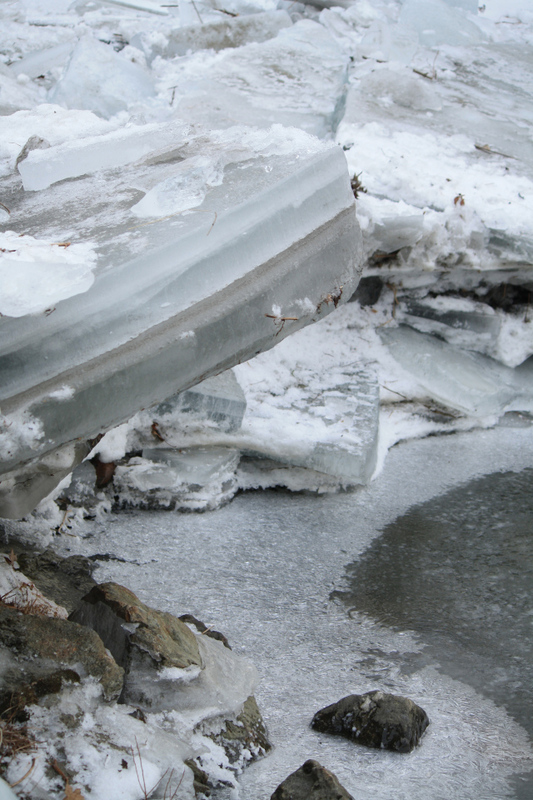 This one deposited high above the water on the rocks, is about a foot deep, four feet wide and five feet long. 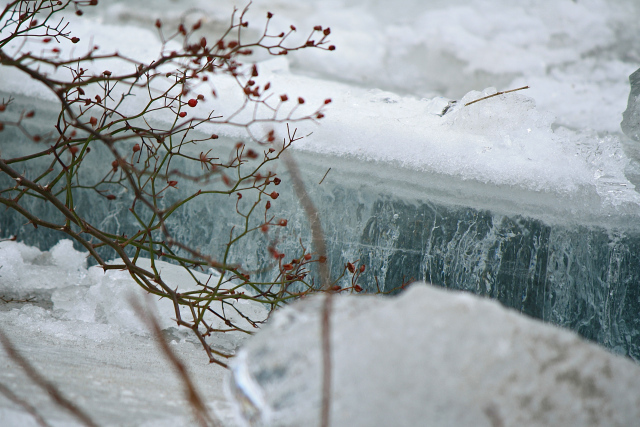 The branches of multiflora rose hips to the right gives you some sense of scale. 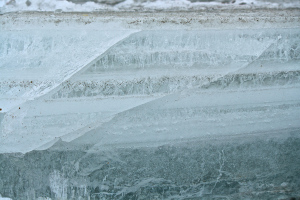 Each floe had a varied grain depending on how cold it was when each layer froze and how clear or turbulent was the water at that time. Some were the loveliest aquamarine color, while others were crystal clear, solid snow-white, in-between opaque or muddy brown.